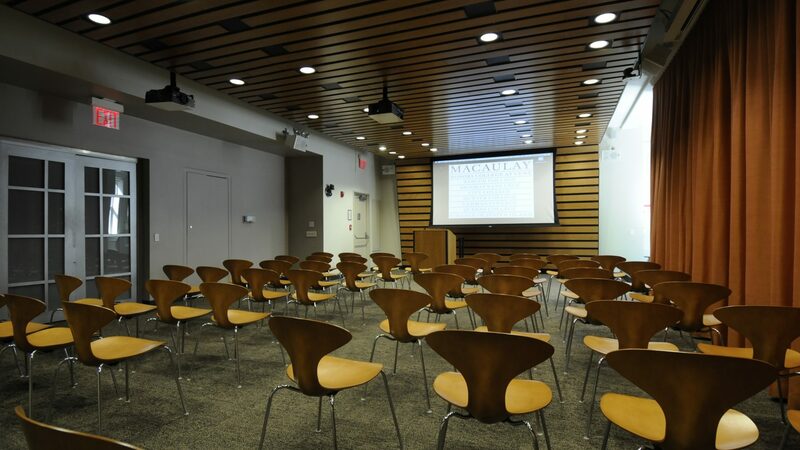 An intimate setting with state-of-the-art technology, perfect for book talks, conferences, or even dance practices. A handsome space for special presentations and banquets featuring versatile multimedia options and an adjacent terrace. Portable stage (10′ x 5′ x 16″) available for use. Technology: Macbook Pro Notebook Computer, Projector, PowerPoint, Two wireless microphones, one Gooseneck Microphone at podium. While in the building, all students and guests must follow the Building Use Guidelines.